Marketers are actually motivators — encouraging, pushing, cajoling, tricking or otherwise seducing customers into doing something or buying something. Conversion optimizers are motivators, too. The entire human journey is a process of motivation — making decision after decision, after decision. It all hinges on motivation. Whoa. Why am I getting all metaphysical and life-coachish? Because motivation is a big deal. It’s a big deal for humans, and therefore it’s a big deal for marketers. Before I dive into awesome and surprising science about motivation, I want to be very clear about what I’m trying to do in this article. My goal is to explain the power and effects of motivation. My reason for doing so is because many marketers either overlook or misunderstand motivation — the powerful core of marketing. As a bonus, I’m dishing out some give-it-to-me-straight conversion optimization advice in every section. In the microcosmic world of conversion optimization, we are dealing with macrocosmic forces — human desire, motivation, psychology, behavior, etc. These are big forces with massive implications for every human action. Somehow, however, when it comes to marketing, we pretend as if there were no motivation or undergirding science, and we fall back on tactics. 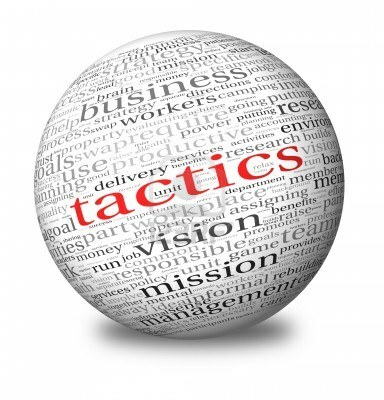 Folks, successful marketing isn’t about a grab bag of tactics. It’s about tectonic forces within the human psyche. It kills me when a conversation about conversion optimization gets shoved into this little box about button colors, and statistical validity and image size. Is that stuff important? Yeah, it is. But is that what the conversation needs to center on, focus on, and labor over? On tactics? No! Conversion optimizers must spend time ferreting out the actual principles that form the foundation of our art and science. Few things in the world are more far-reaching and powerful than motivation. That’s where we’re going in this article. By understanding motivation, you’ll have a more powerful grasp on effective marketing. You will be able to apply your understanding of motivation to the customer journey. You will better understand the psychographic composition of your target audience. You will be able to analyze an audience’s IAO variables for more effective marketing. You will be able to critically analyze conversion optimization best practices through the lens of motivational science. You will be able to press the right motivational buttons through messaging, visual presentation, product offering and marketing strategy. You will be able to strategically utilize negative motivation to empower your marketing. You’ll be able to get to a more advanced understanding of marketing than most people on the planet. Such is the power of going beyond tactics, and developing deep understanding. This isn’t third-grade life science anymore. Put on your big boy marketing pants, and hang on. For all my talk about your big boy pants, we need to start basic. What is motivation, anyway? Motivation is why we do what we do. It affects everything in life — from the time we wake up in the morning, to the way that we eat our breakfast, to the speed at which we brush our teeth, to the career we choose. It’s everything. It encompasses every aspect of life. Motivation is life. Motivation is what lies beneath every purchase decision. There is probably a complex and lengthy motivational sequence leading up to a decision, but the principle motivation underlies it nonetheless. It’s up to you as the marketer to understand that this motivation exists and, more powerfully, how it affects and/or leads up to the decision to buy. One does not merely decide to buy. One instead experiences the motivation to purchase, which motivation stems from a series of deeper life motivations. Let’s say someone wants to buy a lawnmower. Why do they want to buy a lawnmower? Because they have a lawn that is growing and getting long. Why do they want to cut it? Because a shaggy unkempt lawn makes their house and property look crappy. Why do they not want their home and property to look crappy? Because they care what people think about them. Why do they care about what people think about them? Because they want human acceptance, respect and attention. Why do they want human acceptance, respect and attention? Because those are fundamental and basic desires of humans. We’ve figured out why they want a lawnmower — because they possess fundamental and basic human desires. These motivational cues affect the purchase decision. There isn’t a single sequential motivational process. There are multiple sequential motivational chains that impinge upon the process. Let’s say an accountant buys a lawnmower because he is motivated by the perceived societal respect that comes with his occupation. He wants to curry this respect in other spheres of life due to the way in which he views himself, and the way in which he wants other people to view him. His motivational matrix, functioning both negatively and positively, carries a medley of intrinsic and extrinsic factors. He wants to choose a mower. He wants it to be a high-end mower. He wants the mower to make his lawn look as good as possible. He wants his neighbors to know that he’s a manly man who can handle a powerful mower. He wants that mower to be easy to use, because he’s actually kind of scared of big machines, even though he won’t admit it. He wants to teach his son how to use a lawnmower, so it also needs to be safe enough for a 9-year-old to use. This page has powerful motivational features. The headline: It appeals to autonomous choice, and the desire to select not just any lawnmower, but the right lawnmower. The image: It appeals to someone who is motivated by the desire to have an easy time, or who has a large lawn, or who mows lawns for commercial gain. The “related article:” This image and title may motivate someone who desires to have an attractive lawn. Everything on your landing page, product page, etc., has motivational implications. At this point, it’s not necessary to know exactly how someone will respond based on their unique motivational composition. It is enough to know that motivation is behind it all. It is important, too, to realize that different features, approaches, headlines and images all have motivational implications. There are two types of motivation. Motivation isn’t just about the posters. You’ve seen those cliché black-bordered posters plastered in conference rooms and corporate workplaces. And then there are those demotivational posters that take a satirical approach to the concept of motivation. Those two types of posters form a helpful way of viewing the two main types of motivation — negative and positive. Let’s take a negative motivational example. We know that going over the speed limit is bad. What happens if you’re caught doing 80 mph in a 45 mph zone? Does it work? Yes. In online marketing? Yes. You want an example? Okay. It keeps you from getting speeding tickets, basically. It’s a motivation and it’s negative, and it works. What about positive motivation? To stay within the vehicular theme here, let me show you another online motivational technique that is using positive motivation. The Ford S-Max has features that create “the ideal temperature.” You can be comfortable, as well as safe. Positive motivation is meant to encourage behavior as the customer pursues a desirable condition or experience. What kind of motivation is stronger — positive or negative? The answer? Both. You need both in order to appeal to the broadest and deepest range of human motivation. For example, one human desire is the instinctive desire to live. If a marketer wants to sell a car, then she should be aware of this desire. Why? Safety. Car manufacturers and marketers spend billions of dollars researching, developing, creating (and recalling) vehicles due to their relative safety. Marketing a car based on its safety features is a form of negative motivation. Marketing a car based on its comfort, speed and luxury may be a form of positive motivation. You should use both forms, but the form of motivation you choose may depend on your audience. What if your target audience is a safety-conscious mom with young children? Definitely negative motivation. What if your target audience is the single guy who doesn’t necessarily dig safety, but likes to move at high speeds? Positive motivation. Nearly every customer is going to make a decision based on a web of motivations. More than likely, one type of motivation — positive or negative — is going to overpower the others. Identify what type of motivation your product tends toward. Identify the 'psycho-graphy' of your target audience in order to determine their attitude and opinion. Use this information to emphasize one form of motivation over another. But use both. Motivation develops from two forces — extrinsic and intrinsic. There are two types of motivation, but there are also two forces of motivation — extrinsic and intrinsic. Intrinsic motivation — The human acts out of an internal desire to fulfill innate needs. The motivation comes from forces within. I want a skateboard because I love the feeling I get when I move and exercise my body. Extrinsic motivation — The human acts out of a desire for reward from an external source. The motivation comes from forces without. I want a skateboard, because people will think I’m cool. [T]he motivation to win medals, receive financial rewards, and attract attention from the media ... is known as external, or extrinsic, motivation because it involves participation in sport for some kind of reward that is external to the process of participation. On the other hand, athletes who participate because they enjoy the process — that is, they find sport interesting, stimulating, and enjoyable without being preoccupied by external rewards — are predominantly internally, or intrinsically, motivated. Money is the quintessential extrinsic motivational force. Extrinsic motivation gets a bad rap. It’s either “base” or “materialistic,” or “shallow” or some other combination of pejorative adjectives. But this is a shortsighted view, not only of extrinsic motivation, but of intrinsic motivation as well. You should work to build both types of motivation in your conversion and marketing endeavors. Most marketers work to build extrinsic motivation, because it’s the easiest to identify and manipulate. I mean, who wouldn’t be compelled by some extra cash, right? Extrinsic motivation for the win. Nearly every marketing idea ever conceived by humankind has as its modus operandi the power of extrinsic motivation. Less common in marketing is the power of intrinsic motivation. Intrinsic motivation isn’t just neglected. It’s altogether rejected by marketers. As a result of this seismic shift in influence, marketers are just now learning what management scholars have known about motivation for decades — that people respond more favorably to intrinsic rewards than extrinsic rewards. For many brands, however, that kind of talk is heresy — against nature, against culture, against history. To reject intrinsic motivation, however, is to reject what human motivation pursues — the pinnacle of fulfillment. Let me show you how. One of the foremost psychologists of the modern era was Abraham Maslow. He developed the famous “hierarchy of needs.” Maslow’s hierarchy is a model of motivational sequence. The pyramid shape shows the lowest level of motivation, scaling up to the highest level of motivation. We start at the bottom — the physiological needs of breathing, survival. As each need is satisfied, we move up a level — safety, love, esteem, self-actualization. The progress can be divided according to the two forms of motivation. Focusing only on external motivation takes a dim view of humanity. If one’s personal evolution has stopped at this stage, then such a motivational stopping point makes sense. But most people are pursuing the pinnacle — self-actualization. Self-actualization includes “expressing one's creativity, quest for spiritual enlightenment, pursuit of knowledge, and the desire to give to society.” Most people are pursuing self-actualization even in their pursuit of the satisfaction of other, lower-level needs. It makes the most sense, then, to target an individual’s intrinsic motivations, since these are the most abiding and powerful. What’s your motive? Getting to the motivational heart of a purchase. Let me rewind to the beginning of this post, where I went on a full-scale rant against the shortsightedness of conversion optimizers who love to play with button color. You know better than that. You know deeper than that. You can dig to the real forces that fuel an individual’s choices, behavior and purchase. We optimize for motivation, and that requires an intensive and full-orbed view of the human psyche. Go forth with your knowledge, and conquer.